The Ft. Lauderdale Real Estate market has started to recover as we see inventory shrinking month by month. 600 Bayshore is a unique condominium building located in the Fort Lauderdale Beach District. Read more about the 600 Bayshore Condominiums in Fort Lauderdale, Florida. 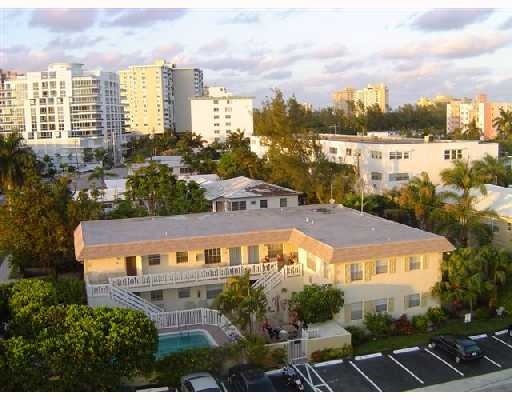 600 Bayshore Condos is a small condo building located right on Bayshore drive and just 3 blocks to the ocean. 600 Bayshore is a very unique building since it does allow short term rentals (14 days at a time) in the building. This would be an excellant choice as a vacation rental. The 2 story building has a pool area for its residents as well as a laundry room. At Eric Miller and Associates, "We're here to help" with your next 600 Bayshore purchase or sale. Contact us directly at (954) 383-8170.